March is National Nutrition Month, a time to be aware of how our daily food choices can impact health. This year's theme is "Get Your Plate in Shape," reminding everyone to be more mindful of the foods we eat. 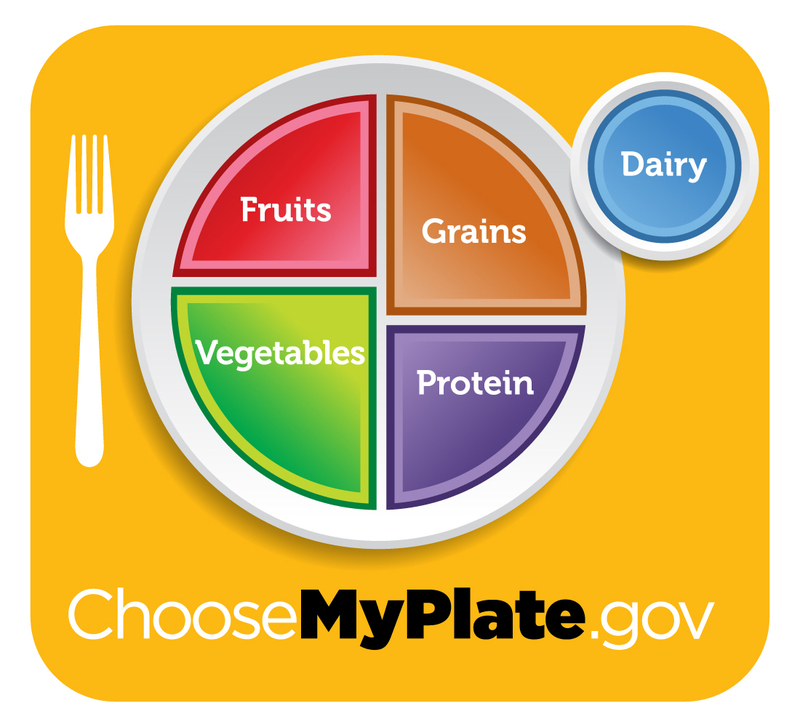 “Getting your plate in shape” is a visual tool that replaces interpreting numbers on a label. The idea is to increase servings from vegetables, fruits and whole grains providing a plate that is high in nutrition density. Here are some ways to implement this program and improve your family's nutrition. “Getting your plate into shape” automatically contributes color from fruits and vegetables. These colors represent the presence of key compounds known as phytochemicals, that work in incredible ways to protect the body from disease. Green (contains indoles). Try raw or cooked broccoli, sugar snap peas also make a great snack food. Brussel sprouts, green cabbage, green beans, spinach, kale and bok choy are also green choices. Orange (contain carotenoids). Add carrots or carrot juice, mango slices, tangerines or sweet potatoes to meals. Red (high in lycopene). Increase tomatoes, tomato sauce, red pepper, watermelon, or pink grapefruit. Red/Purple (rich in anthocyanins). Examples include blueberries, red apples, grapes, strawberries, cherries, and eggplant. Whole grains such as wheat, rye, rice, barley, quinoa and oatmeal are found in bread, cereal, rice, crackers, and pretzels. Whole grains are high in fiber, B-vitamins, chromium and zinc. Substitute whole grain rice for white rice, Try whole grain crackers. Snack on whole grain popcorn! Monday: Try for fruits and vegetables with natural green colors (lettuce, green beans, broccoli). Tuesday: Try for fruits and vegetables with natural red/purple colors (blueberries, red apples). Wednesday: Try for fruits and vegetables with natural yellow/orange colors (corn, nectarines, peaches). Thursday: Try for foods with natural white green colors (cabbage, onions, celery pears, lettuce). Friday: Try a whole grain cereal or rice! Celebrate National Nutrition Month with whole grains and a colorful plate!